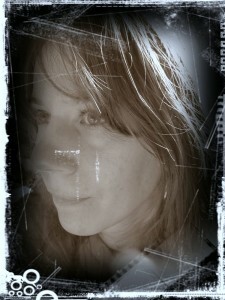 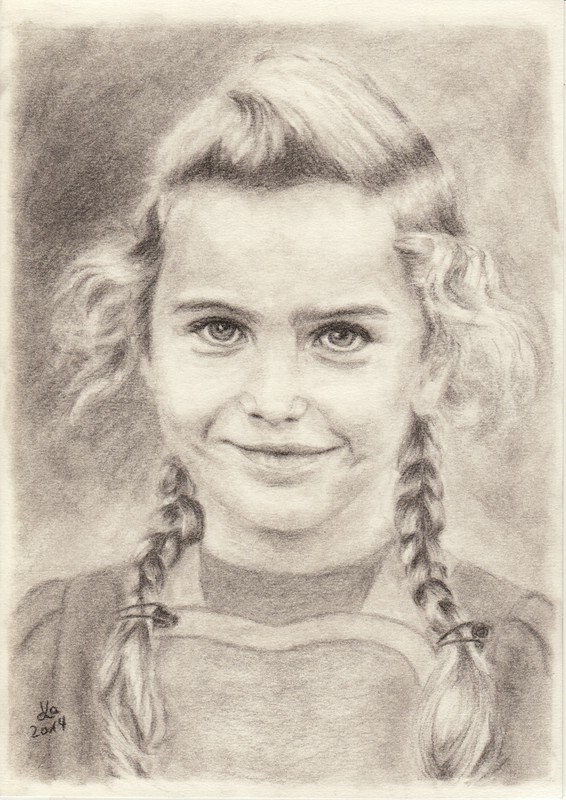 Karin Kiessling was born in 1971 in Landau/Palatinate, in the south west of Germany and lives there today. 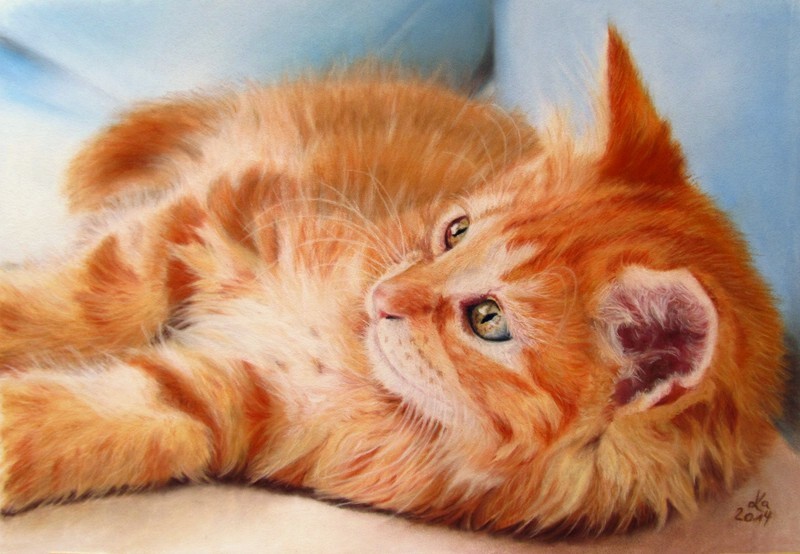 Only after her pharmacy studies she started self-taught with painting and drawing. 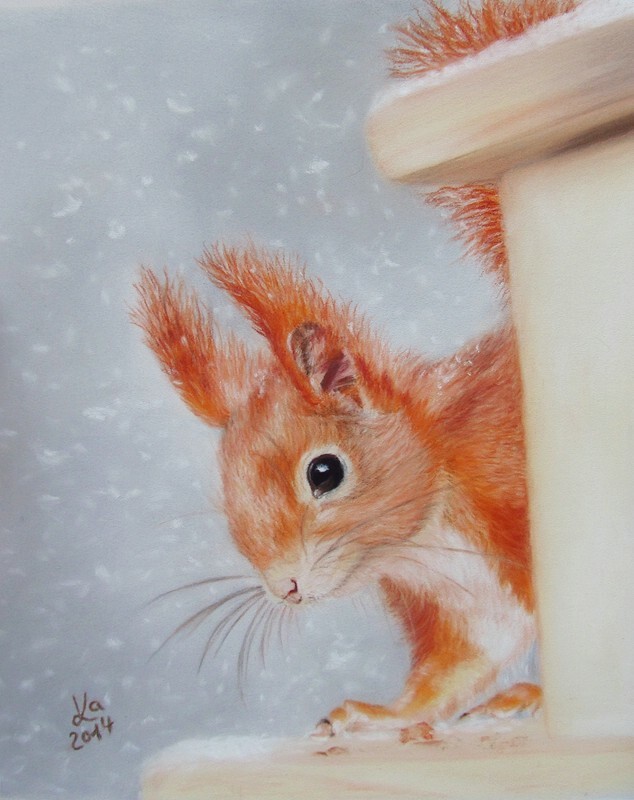 At first, she didn’t find much time for it because of her job, and from 2007 on, when she fell severely ill with CFS, there was again no possibility to spend time with her beloved hobby. 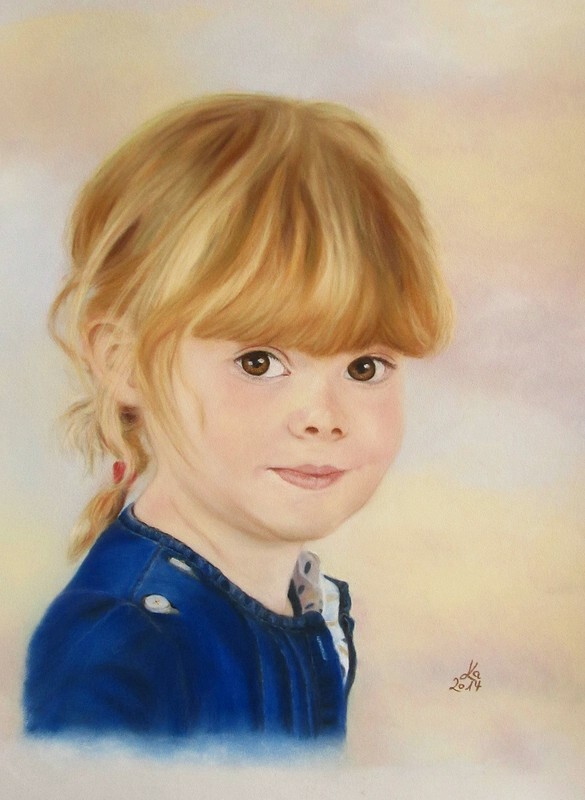 Finally, in 2012 her health improved a little bit, so she could start with some small watercolour paintings of flowers and animals. 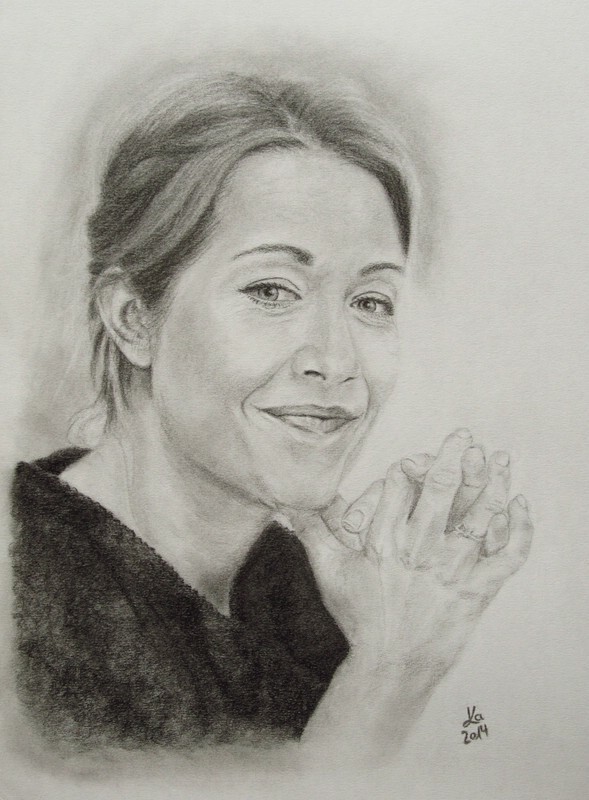 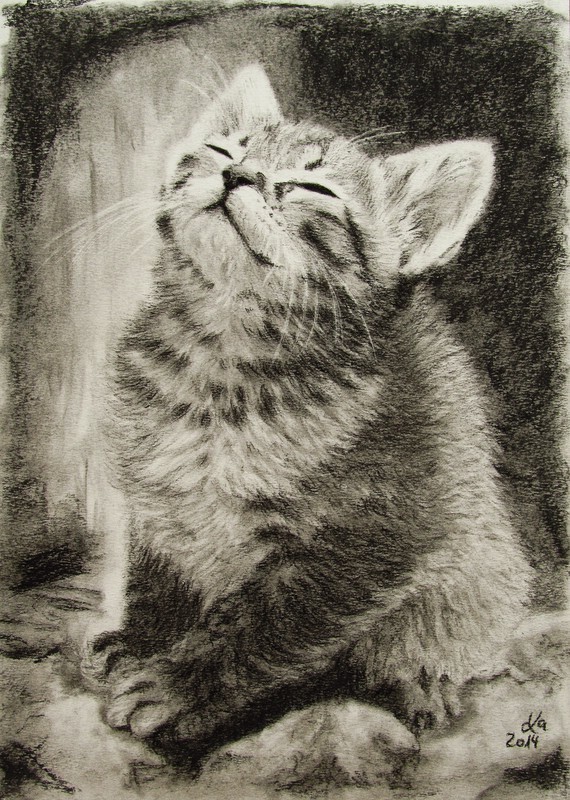 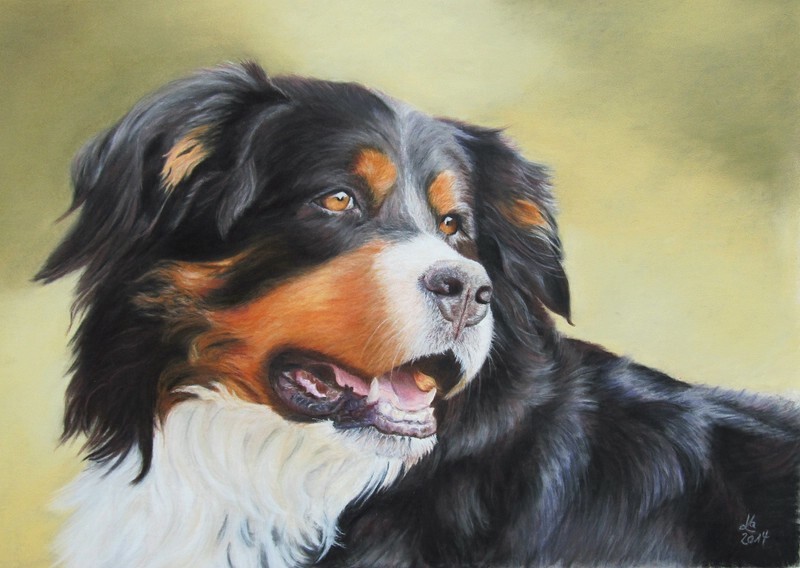 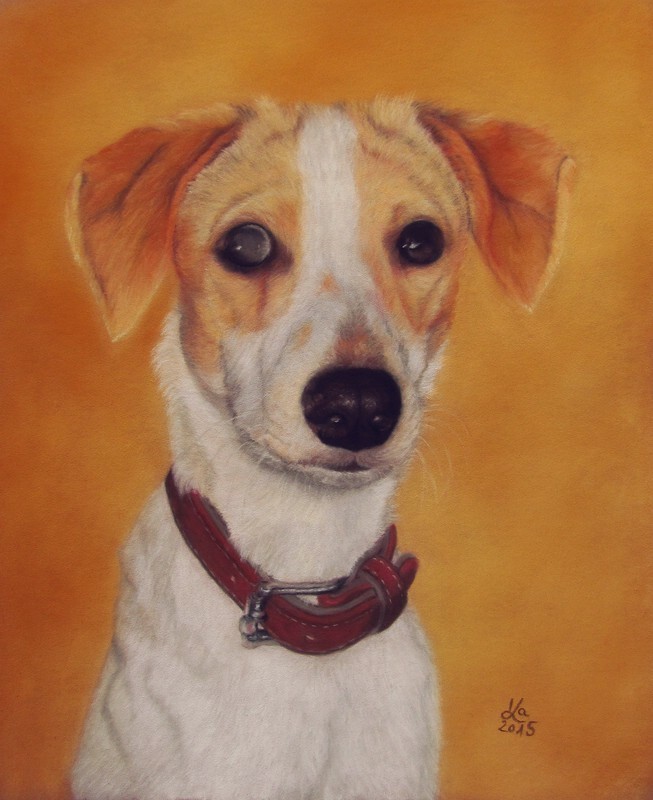 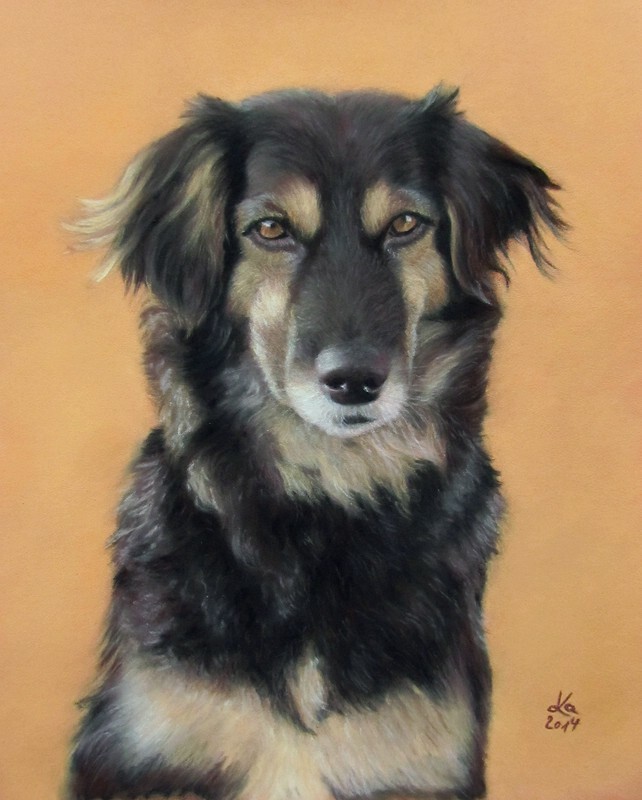 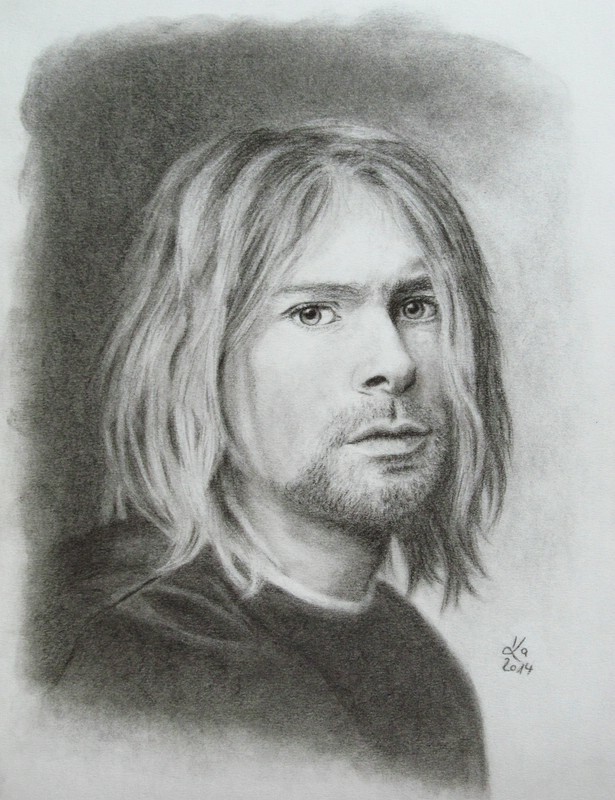 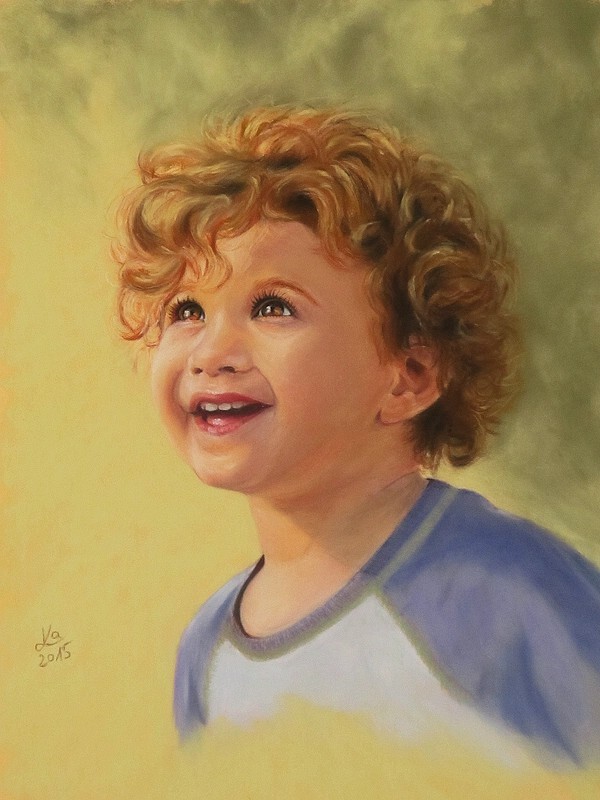 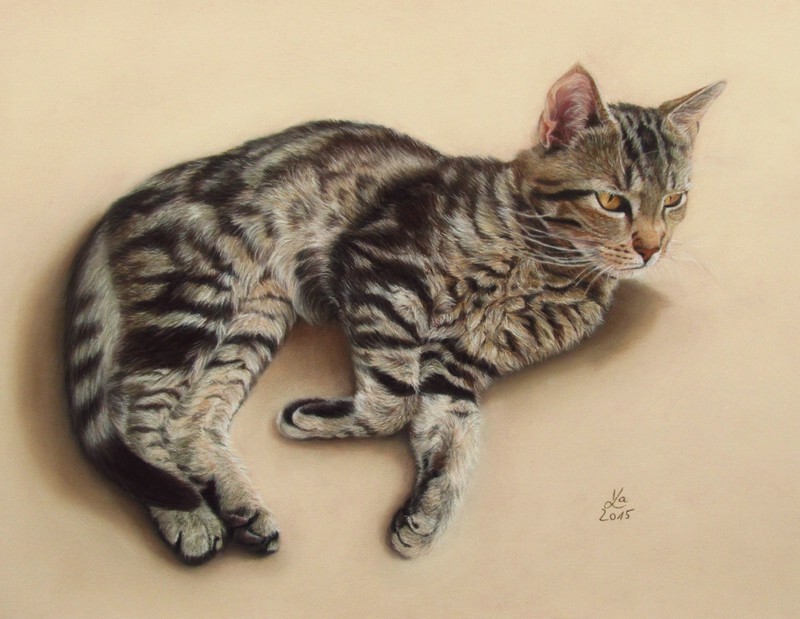 In 2014 she began to draw portraits of humans and animals from photographs with charcoal (black and white) and soft pastels (coloured) and liked it a lot. 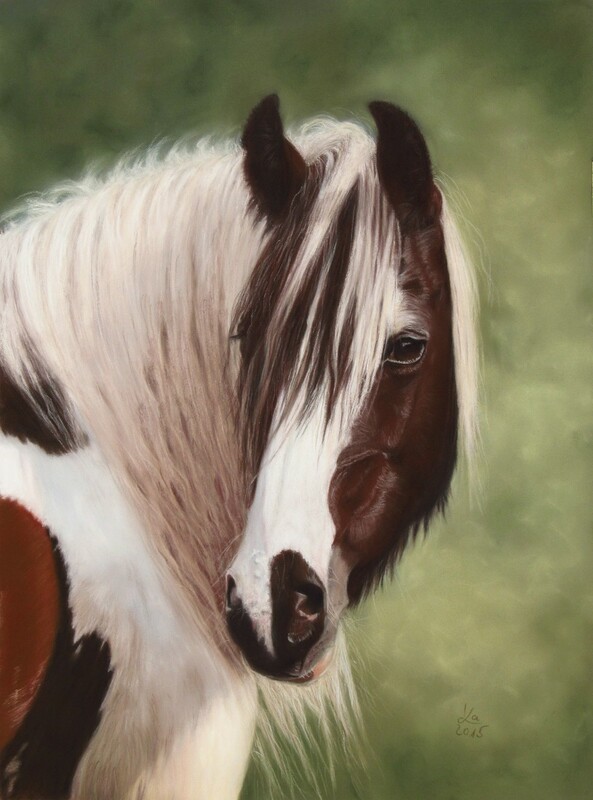 So she has found “her” media to express her love of nature and to show the uniqueness of every creature, human or animal, in her soulful images. 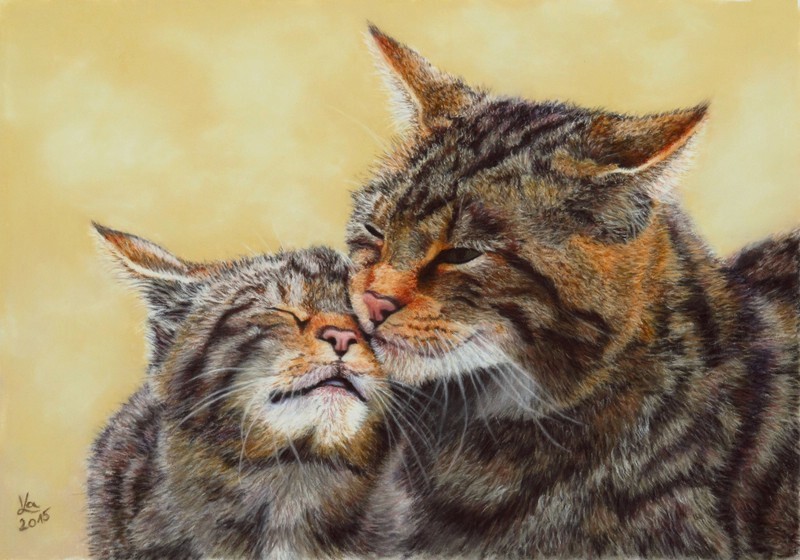 In July 2015 she became a member of the Scottish Wildcat Gallery, 50 % of the revenues from sales will be donated to help the Scottish Wildcats who are threatened with extinction. 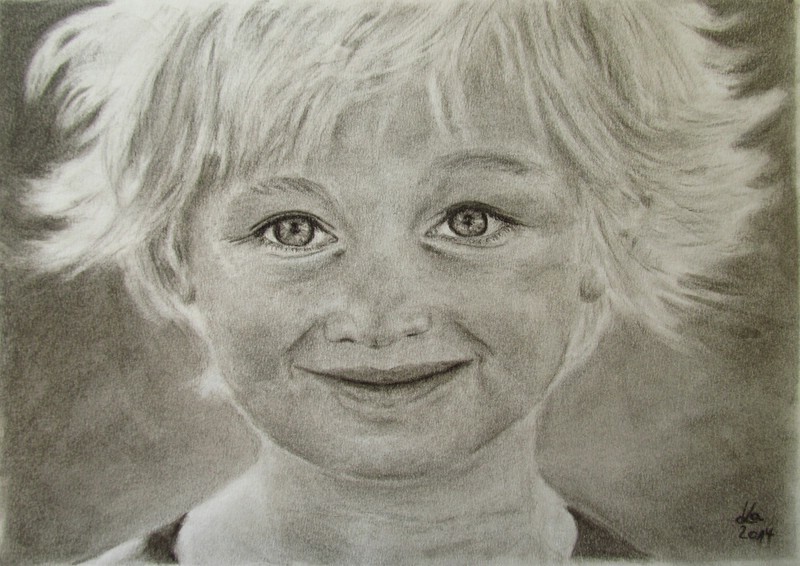 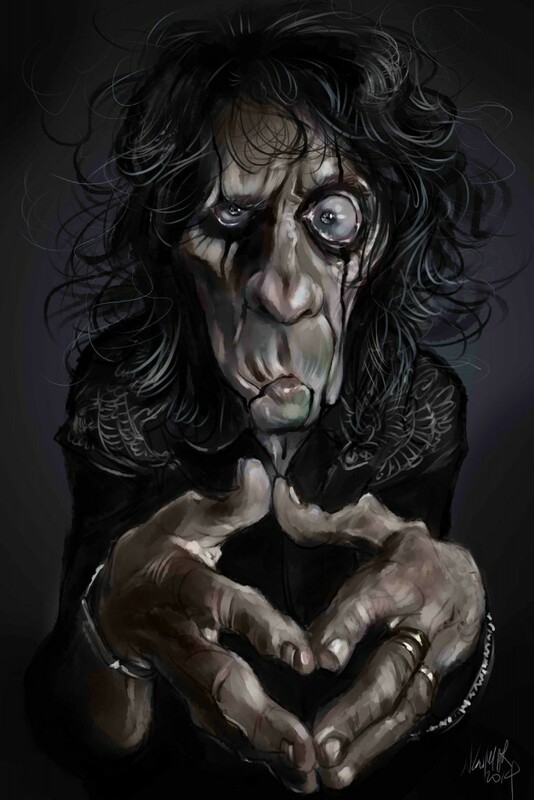 To see more of Karin’s work, please visit her Official website and her Facebook page.